The cosmic laws are based upon the fundamental principle of the existence of Cosmic Consciousness, which is the cause and the reason of all things manifested. By fundamental principle, we do not mean a deity or a being but an abstract power – an absolute principle. Harness the 7 Cosmic Laws and you shall be the conquer of nature instead of its slave. There is no such thing as inharmony, disorder, or chance but always a manifested law in the universe. From the atoms to the sun, matter to energy, and lowest to highest, there is order or a sequence to everything. That is to say that everything in the universe is a perfect mathematical equation, following out its sequence. Every event is linked in the Cosmic events of things. That everything is a part of the universe. You are a part of the universe – a piece in a giant puzzle. When something happens, there is always a reason for it. But if there’s no accidents, then is everything we do predetermined by fate? And if it is, then what’s the point of living? Fortunately, there’s no such thing as fate or destiny. You, alone, create your reality through the 7 Cosmic Laws. No one knows your destiny, not even Cosmic Consciousness, but You. If you are wounded and no one comes to heal you, you are fated to die. But if you are wounded and you are treated, you are fated to live. There’s nothing mysterious that says that because of fate, you are going to die no matter what. According to the Law of Order, if you treat the wound, you live. Taught from Hermes Trismegistus, the Law of Analogy is akin to the Hermetic Principle of Correspondence. Since the Law of Order states that there is no inharmony, it also follows that everything agrees with each other. There is an agreement of correspondence between all various forms of manifestations. “As Above, So Below. As Below, So Above”. What is true of man is also true for the universe. What is true of atom is also true for the sun. What is true of matter is also true for energy. Studying atoms and molecules is the same as studying the solar system. Therefore, by knowing yourself you shall have known the universe. Many people believe, in theory, that God creates the universe in order to amuse himself. But it is important to realize that “As Above, So Below”, the Cosmic Consciousness is also present within ourselves. And so we ask ourselves, why do we wish not to die? It is because we want to live. No, we MUST live. And so it is also true for Cosmic Consciousness. Cosmic Consciousness MUST manifest in order to live and be conscious. Nothing is done without reason or for some petty amusement. Take a knife against your chin and your subconscious mind will fight to stop you. Just as there is an urge for life within yourself, so does Cosmic Consciousness has an urge for life within itself and its universe. Also known as the “Principle of Cause and Effect“. Not only is everything is in order, and that all higher and lower forms of manifestation are in agreement, there must also be a cause and effect. Everything has a “before and after” relation. Nothing is independent of each other. Man is always interacting with the environment and the environment always interacting with man. We are all dependent on one another. So it follows that interacted events begins with a cause and ends in effect. Through the Law of Sequence, we can know our past and future. Future is always determined by the past and the decision of the present. Because, naturally, the future is not set in stone. Therefore, it does not exist yet. But, by analyzing the past and recognizing that the actions of the past carries into the present, we see future’s fate. Even for prophecies that predicts accurate futures. Their gift of foresight brought them to the spiritual plane, but even the spiritual plane analyzes the past to give future’s prediction. There is always a cause and effect for something. And that cause comes from one’s past actions or the communities past actions. By knowing our past and making decision in the present, we change the future. Everything has a rhythm. Everything has vibration. Nothing is solid. All physical, mental, or of energy are vibrations. Quantum physics has confirmed that everything vibrates as subatomic particles and quarks. Everything moves. Everything is in constant motion. In rhythm, everything moves back and fro – from one pole to another. Not only is there order in the universe, that all forms of vibration are in agreement, and that there is cause and effect, but that there is constant change. Rhythm is movement measured by the beats of a metronome. Everything moves to its own beat; it has its own rhythm. The human heart has a rhythm. When you breathe in and out from your lungs. The rise and fall of tides. Day becomes night and night becomes day. You work and then you rest. You rest so you can work. Everything is constantly moving, and they are moving back and forth in a rhythmic pattern. Everything comes back to equilibrium in the universe. One thing is there to balance out the other side. Everything has a price and it is paid in balance. And that is why the Law of Order states that all is in harmony and order and that there is no disorder. Why all forms of manifestation are in correspondence with each other. It is how the Law of Sequence are brought into effect. And how it moves back and fro in rhythmic vibration. All vibrations – physical, astral, mental, and spiritual – has a counterbalance to bring everything to equilibrium. 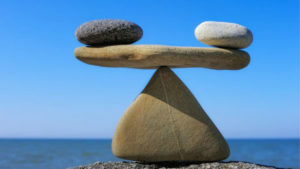 The Law of Balance says that what you put out will be compensated of equal force. All of nature has the same law of balance. Animals eat plants and breathes its oxygen for life. When the animal dies, plants disintegrates the animal and nourishes from them. Thus, giving nature balance in life. In the mind and spirit, balance becomes compensation. Nothing is given for free. That is to say, we cannot have our cake and keep our penny at the same time. We must ALWAYS give up one thing to attain another. For someone to win, someone else must lose. For every good, there is its evil. For every sweet, there is its sour. For everything you have missed, you gained something else. Thus, there will always be two polar opposites to equal the playing field. If you become too much of anything, nature puts you out of the game. An excess of anything becomes an illness and, worse, an end to one’s life. So in balance and compensation, moderation is everything. The secret of evolution is found in the Law of Cycles. Everything moves in a circle. 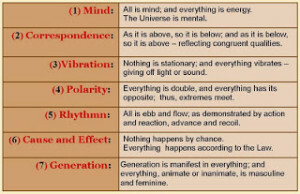 The Law of Cycles agree that everything is in harmony, that what is above is the same as what is below, that everything happens by sequence, that all things are vibration in rhythm, and that there is balance to the universe. For the universe to be in balance and move in rhythm, it must move in a circular trend. That is how they go back to its original point, to its equilibrium. Hate breeds revenge. Revenge seeks to destroy. Destruction causes Hate. Animals eat plants. Plants nourishes dead animals. Action causes reaction. Reaction causes action. Life will always go around and around in a circle. You cannot escape this circle as long as you are part of nature’s game. 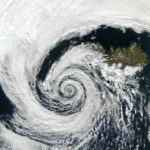 But the way to escape this circle and to evolve is to transmute the circle into a spiral. Only the wise and strong can evolve the circle into the spiral. 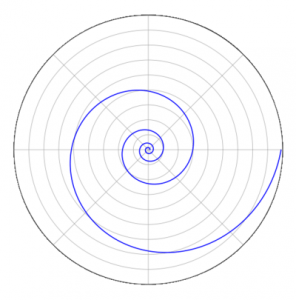 When one’s path is set on spiral, their growth is exponential. 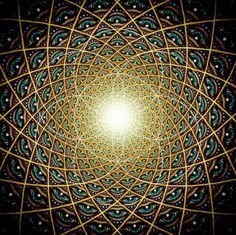 The direction of the spiral reaches you to one point – the Cosmic Consciousness. Also known as the “Principle of Polarity“. There is male and female. There is up and down. There is truth and untruth. But for every male, there is a female within. With every truth, there is an untruth. In the Law of Balance, we have briefly mentioned that there is an opposing force to balance the universe. Those opposing forces are opposite in nature. And it is through polarity that will bring nature equilibrium. We have known that from the Law of Order, Law of Sequence, and Law of Analogy that everything is One with each other. So it is true that polar opposites are but different poles of the same thing. East and West are seen as polar opposites, but if you were to look on a map, where does East stops and West begin? Hot and cold are seen as polar opposites but they are really the same temperature in opposite end of the thermostat. Here is where we find that no matter what we find, there will always be something that opposes it. You find evidence and counter-evidence for all that you look for, depending on what you focus on. If you look at Love, you will notice Hate. If you look at Winning, you will notice Losing. If you look at Light, you will notice Darkness. As the saying goes, “One man’s Good is another man’s Bad” or “One man’s treasure is another man’s trash”. With the Law of Opposites, you can choose to focus on what you want. If you focus on the negative, you get the negative. If you focus on the positive, you get the positive. Our physical, emotional, mental, and spiritual states can change by moving to its opposite state. If you are not in a desirable state at the moment, never fight it or kill the undesirable. Instead, transmute your current state into a positive one. When you understand these laws, you will see them everywhere. Know them and you shall become more connected to the universe and control your destiny. The greatest secret laws were handed down in the 7 Hermetic Principles. These are the Principles, taught by Thoth, that governs our material and spiritual life. Knowing these principles, the Universal Laws, shall open your insights to the deeper spiritual nature of reality. I will also show you how to use these principles in a practical manner. When you understand these laws, you will be able to Use it instead of being Used by it. The law of mind states that everything is mental in nature. Really, it should be named “Law of potential” because it is describing the potential infinite field of the mind. When we learn to harness it, we begin to see the fruits of our creation. The vision from the potential of our mind follows a step by step process into the physical as it become materialized. Everything begins with thought. When we begin with the right thoughts, the right action will follow. 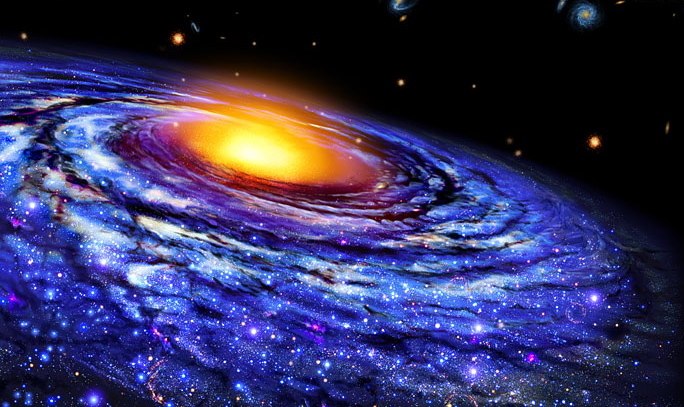 The ancients believed that the macrocosm is a reflection of the microcosm, and vice versa. The Bible has also said that God created mankind in his own image. This is one of the most important laws. When it says “corresponds”, it means that everything is in harmony with divine intelligence – mental, emotional, material and spiritual. To put this to work is to seek harmony within ourselves and others. We are our greatest when all of our selves are aligned. Our relationships with others can tell us greatly about who we are. We are in harmony when we accept ourselves as who we are. Through accepting and valuing other people’s worth, we open a channel of communication. When we are in harmony with a wide range of people, we expand our sphere of influence. The more support you give to others, the more support you have for yourself. The Principle of vibration is one of the accepted laws of the modern science which states that all of life are vibrations at different frequencies. You vibrate. Trees vibrate. Sounds and thoughts vibrate. Some vibrate slower and others vibrate at a high frequency. Do you see how water evaporates? When water is heated, the molecules becomes excited and vibrate so fast that the molecules break free of their bonds and turn into vapor and rise up to the sky. When using the principle of vibration, we are tuning to other’s vibration. We can understand our own nature and help others to understand theirs. 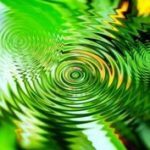 We can inspire others to stimulate action and desire so that, as water evaporates, people can change their state – from low frequency to higher frequency vibration. The more you become inspiring, the more you are to have inspiration. The more you become love, the more you are to have love. The Law of Attraction draws from this principle but it only goes so far as one of the seven hermetic principle. Everything has its polar opposites. We live in a world of Dualism. This principle is about how you choose to view your reality. You can choose to see the world in the light or the world as seen in the dark. You can choose to live a life with open heart, joy, sincerity, and truth or you can live behind ignorance, judgmental and detestable attitudes. The law is like the battle between Optimism and Pessimism: do you see the glass half-full or half-empty? You can see anxiety as an attack or you can see it as a motivator. You can see fear as something to run away from or as something to challenge you and grow. The key to understanding polarity is in our mind. There is a rhythm. There is a cycle. What flows in, flows out. What swings forward will swing back. What comes up goes down. You can enjoy the fruits of the highest highs. But you can’t overcome the destruction of the lowest lows. You can only neutralize it to a degree. Here you have to understand that no matter how high we are, we will eventually hit a low tide. The seasons change and the summer will become winter. There are days when crops are greatly harvested and days when the seasons are too rough to plant. If you understand this law, then you can learn to enjoy the rise and neutralize the falling season of our life. Who can forget that for every cause there is an effect? When we are aware of this law, we can become causers instead of the effect of the cause. By dominating our moods, characters, qualities, and powers, we become masters of ourselves. This is how we understand the effect of a cause – through trial and error. To use it, we throw a pebble and observe what the effects are. By developing your skill and awareness to certain habits, you should always get the same results. Also known as the Principle of Generation, it says that everything contains two elements: masculine and feminine. In the physical, we understood this to mean “man” and “woman”. But even so, a man can have masculine and feminine qualities and so can a woman. To understand this principle on a higher plane, it goes beyond man and woman and into the realm of polar extreme energies. In Taoist alchemy, masculine and feminine are believed to be the same energy in two different forms. The more we adjust with a different magnetic field (vibe) of another, the more we internally adjust our masculine and feminine force. Have you ever met someone and instinctively dislike them? Or have you met someone who suddenly clicks and you don’t know why? Your personality is an interaction of certain masculine and feminine energies. And these forces attract others (people) to help you or hinder you. When we change our forces, we attract or repel certain aspects of our reality. 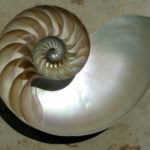 If one day we no longer enjoy our passion, then our internal energy change and the waves reflect the things we attract. But if we are motivating ourselves beyond our comfort zone and strive for greatness so that we are compelled to move to great action, we equally attract strong attraction with strong aversion. DNA Dethroned – Inheritance is Protein-Based. A post by soficrow at ATS. Time to re-write those biology textbooks. Inheritance is protein-based – it’s epigenetic, not genetic. in humans, some are conserved over hundreds of millions of years. …When the team examined the human cognates of the prion-proteins, the intrinsically disordered domains were conserved over hundreds of millions of years. Prions (of Mad Cow disease fame) – and their role in evolution – have intrigued me for over a decade. Finally, the scientific proofs are rolling in. Prions are all about rapid response to environmental change, and biological-evolutionary flexibility. Proteins can change their shape when they encounter new environmental conditions (external or internal) – when they do, they change their function, and can become infectious prions. Some prions cause disease; some (most?) are beneficial. We all have inherited prion-based traits and memories of our ancestors’ responses to environmental changes – some dating back hundreds of millions of years. Our individual exposures can trigger a truly ancient memory-response – or one first developed by our great grandmother. * Inherited traits are passed on by prions – with some dating back hundreds of millions of years. Does this information affect your understanding of life? Reincarnation and karma? What else? NOTE: Big Pharma has been tinkering with proteins since 1950 when Linus Pauling identified the actin protein’s “a” and “b” shapes. But the pharmaceutical industry’s scientific results and knowledge are protected as “Intellectual Property” by “Confidentiality Agreements.” Including their ‘mistakes.’ [I wonder how many disease-causing prions they’ve ‘accidentally’ created and distributed over the past six and a half decades. (Think side-effects.)] Now though, the dam is breaking. Now, the information is getting out into the public domain. Which is only fair considering we the public have been funding the research with our tax dollars and donations all the way along.